Hydrate your body with at least 8 – 10 glasses of water a day. Drink water even if you aren’t thirsty so as to keep hydrated. Chew water implies eat foods that are filled with water like grapes, berries, water melon, musk melon. Water melon contains 90% water is a refreshing way to stay healthy. Coconut water is the best liquid for hydration as it contains a host of vitamins and minerals that can help you get flawless skin and hair too. Wear Cotton loose fitting clothes preferably of light colour. 5. Avoid alcohol, caffeinated and aerated drinks. Avoid alcohol, coffeinated drinks like tea/ coffeee, aerated drinks and soft drinks as they dehydrate your body. Substitute such drinks with sparkling water. Eat lots of spicy food. Although this may seem the last thing you fancy in hot weather, curries and chillies can stimulate heat receptors in the mouth, enhance circulation and cause sweating which cools down the heat in the body. Eat raw salads and make sure they include cucumber, tomatoes, lettuce, spinach and zucchini as they contain loads of water. Restrict outdoor activities to the cooler parts of the day – early mornings before 10:30 am and later evenings after 5:30 pm. 9. Practise Yoga to beat the stress. Practice Yoga an hour or half a day. Yoga is a great form of exercise that tunes you into a state of pure consciousness, maximum creativity and bliss. The process of doing yoga is by itself a blissful process. It not only regulates and focusses on one’s breathing pattern but relieves stress through stretching, movement of the muscles, organs and even induces deep relaxation. 10. 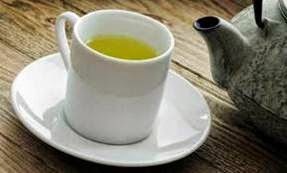 Avoid Sun stroke by Sipping Green Tea. If you get burnt by sunstroke or heat stroke, seek relief by sipping green tea or onion juice as these contain potent antioxidants that can neutralize cellular damage caused by sun’s rays. Living in a digital era is certainly a blessing as we are gifted with a multitude of sources of learning, progress and entertainment which are at our finger tips. Nevertheless, these numerous facilities come with a hidden price tag. The over-use of all kinds of electronic gadgets might cause a lot of stress including isolation and depression that could lead to several types of psychiatric problems such as insomnia, schizophrenia, mania and so on. The most important and the root cause of all kinds of psychiatric problems is the patient’s inability to fall asleep naturally. 1. Exercise an hour every day. The exercises could be even in the form of playing games. Alternatively, you could brisk walk early morning to breathe in the fresh air. This will invigorate your mind and body. If you are unable to move out of the house, you may even run on a tread mill, with a bit of open ventilation, as the second best option. 2. Practice Yoga an hour or half a day. Yoga is a great form of exercise that tunes you into a state of pure consciousness, maximum creativity and bliss. The process of doing yoga is by itself a blissful process. It not only regulates and focusses on one’s breathing pattern but relieves stress through stretching, movement of the muscles, organs and even induces deep relaxation. The deep relaxation through deep breathing generates alpha waves that induce one to fall asleep naturally. 3. Nourish your body with healthy food and drink a lot of water. 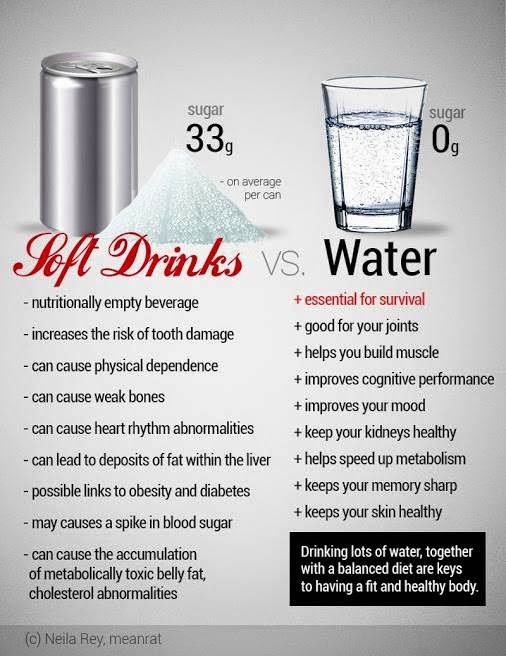 Drink at least 5 liters of water. Drink more water first half of the day and less the rest of the day. As our brain is composed of 78% water content, drinking plenty of water must be made into a habit. Eat lots of fruits and healthy food every two hours in a moderate quantity that would hydrate and nourish your body as suggested by Rujuta Diwekar in Don’t Lose Your Mind But Lose Your Weight. 4. Don’t use your computer at least 3 hours before sleep as it disturbs your sleep pattern. 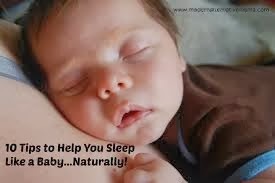 Don’t be on the phone or use any electronic gadgets prior to sleeping. Say a big no to technology three hours before sleep. 5. Avoid tea or coffee as much as possible or have them much before sunset. If you really need to drink tea or coffee, opt it only once a day. 6. Enhance the quality of your life by bonding with your friends and relatives as often as you can. This alone can do miracles to cure your insomnia. The more you socialize the better you feel, and socialization alone can cure you from tossing and turning all nights sleeplessly. So one of the primary cures to insomnia is socializing a lot. 7. Be an optimistic person and bid adieu to your bad memories and hurt feelings. Read the book The Power of Now by Echart Tolle wherein Echart clearly states both the past and the future are just an illusion and true power lies in being and living in the present. 8. Have a beautiful and huge vision clearly imprinted in your mind and move slowly one step at a time. Just remind yourself what Rabindrath Tagore says, ’The journey of a thousand miles begins with one step’. 9. Inculcate and create great habits in your life by replacing the bad ones for which I urge you to read The Power Habit by Charles Duhigg. This, one book, alone could help you discipline your life. 10. Connect to nature. Love plants and animals a lot. Spend more time watering the garden and sowing flower seeds or vegetable seeds. Then see those seeds grow into a fruitful plant and bloom into flowers. This can enliven your lost spirit and get back to focus in your life. Even if you are in an apartment, try keeping plants on your balcony and watch them grow every day. In case you are an animal lover, keep pets like cats, dogs, rabbits etc. or have a nice aquarium at home. Their spirits will invigorate yours too to a great deal and forget your worries and stress for good. As every problem has a solution, similarly insomnia too can be cured naturally if you inculcate the power habits through sheer focus and discipline that will systematically change your lifestyle and help live a great healthy life by sleeping naturally. Benjamin Franklin states "Games lubricate the mind and body". Just like how an automobile cannot function or run without petrol or diesel, similarly, man whether children or adults cannot live for long without games. For a child, games are a natural instinct and, he does almost all his activities naturally in a play way style. However, a man of 21st has realized or should soon realize, to a large extent, the importance of games in his life, the hard way, and learn to make it a part and parcel of his lifestyle. That is the present generation, who are mostly leading a sedentary lifestyle due to substantial improvement in technology, must understand to a great extent the need to play and have some frivolous activities regularly like games and sports often to increase his lifespan. Certainly, games are a source of entertainment, great physical and mental exercise for the adults too just as it is to the children. Just like how games are vital for every child's intellectual and physical development, it is equally a genuine fact that adults need them too. 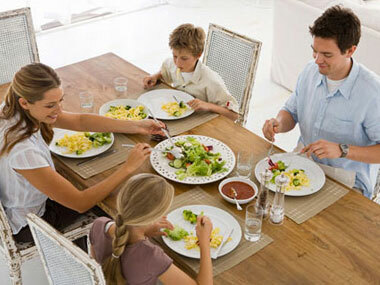 For an adult to stay fit and healthy, he must exercise regularly backed up with proper balanced diet. If he ignores the former at the expense of latter, he is definitely losing a balance which will make him unfit, unhealthy, and he will be prone to illness often. If an adult wants to stay healthy and happy, playing games or exercises is the turning point to overall strength, well-being so as to achieve superb health and longevity. So, every adult must play games to keep himself physically and mentally fit. Furthermore, the sedentary lifestyle and the intake of junk food especially in the urban areas has made man prone to illness like obesity, diabetes, heart stroke, mental fatigue, sprains, stress, insomnia, blood pressure, backache and so on. If a man inculcates the habit of playing games as a part of his daily schedule, perhaps his health problems could be minimized, controlled and prevented. The best way to protect and insure our health is through exercises and physical movement which could be done either through aerobics, yoga or running over a treadmill. Or, another alternative is by playing games like basket ball, football, tennis, badminton, running race, swimming etc. The games such as these are, indeed, not only fascinating and enthralling to kids but equally advantageous to adults too. An hour a day spent playing games is the best source of investment in health, wealth and security for future. This means playing games and getting involved in sports increases our life span which any medical practitioner or health experts would agree to. So, just imagine how long our life could be in this planet if we were thoughtful enough to invest in games and sports. Similarly, we all know that children need to be playing to grow. Playing games help children keep fit, healthy and strengthens their bones and helps in their overall growth and personality. But in case of an adult be it a man or a woman, it is not a matter of physical development, but a concern of keeping fit, slim, stress free and disease free. Let's get a bit deeper into types of games and how they benefit us. Games can be broadly classified into two categories: indoor and outdoor games. The indoor games such as chess, carom, puzzles, dominos, computer games etc. help develop ones intellectual capacity; enhances IQ. and, also hones ones social skills. The outdoor games like badminton, tennis, swimming, football, basket ball, cycling etc. are still more important as it helps us acquire both physical and mental health benefits. The physical health benefits are building sportsmanship spirit, friendship, relaxation, burning calories and good blood circulation. The mental health benefits are to help overcome negative thoughts, forget unnecessary worries of past and attain mental stability which eliminate stress, tension and psychological problems. Just cut 2-3 thin slices of lemon in a cup/container and add drinking water will become "alkaline water", drink for the whole day, just by adding drinking water. Take it as drinking water everyday is good for everybody. The surprising benefits of lemon! I remain perplexed! This is the latest in medicine, effective for cancer! 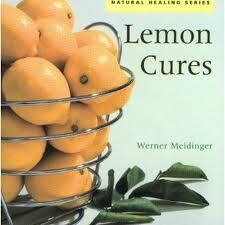 Read carefully & you be the judge Lemon (Citrus) is a miraculous product to kill cancer cells. It is 10,000 times stronger than chemotherapy. Why do we not know about that? Because there are laboratories interested in making a synthetic version that will bring them huge profits. You can now help a friend in need by letting him/her know that lemon juice is beneficial in preventing the disease. How many people will die while this closely guarded secret is kept, so as not to jeopardise the beneficial multi-millionaires large corporations? You can eat the fruit in different ways: you can eat the pulp, juice press, prepare drinks, sorbets, pastries, etc... 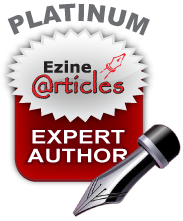 It is credited with many virtues, but the most interesting is the effect it produces on cysts and tumours. Some say it is very useful in all variants of cancer . It is considered also as an anti microbial spectrum against bacterial infections and fungi, effective against internal parasites and worms, it regulates blood pressure which is too high and an anti-depressant, combats stress and nervous disorders. 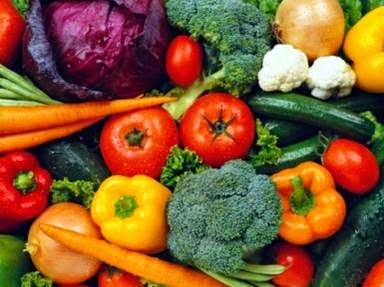 The source of this information is fascinating: it comes from one of the largest drug manufacturers in the world, says that after more than 20 laboratory tests since 1970, the extracts revealed that : It destroys the malignant cells in 12 cancers including colon, breast, prostate, lung and pancreas. and it does not affect healthy cells. 1. Seldom go on extreme diets as they just don’t work. 2. Never opt for sugar-free sweeteners or low-fat foods as they are totally misleading. The low-fat food tends to help you gain weight. The excess use of sugar-free sweeteners may cause cancer. 3. Always eat fruits on an empty stomach or as a meal and, not after meals. When fruits are eaten after meals, they convert into fats called triglycerides that block our arteries leading to cardiac problems. 4. You must always eat to lose weight and, dieting should not involve starving yourself. 5. Exercise is a must and non-negotiable even if you have healthy eating habits. 6. Don’t make angels and demons out of different foods as they are all just as good or bad for you. 7. 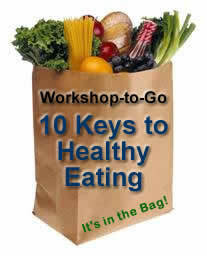 The master key to lose weight is to eat every 2 hours and eat MODERATELY. Eat water rich food like fruits as they eliminate toxic wastes from our body which prevent and protect against major diseases like cancer, heart diseases etc. Never eat carbohydrates and proteins containing food together as it is difficult to be digested simultaneously. This initiates fatigue and makes us unhealthy and sluggish. Drink plenty of pure water. Always eat less food but try to drink lots of water. Never eat fruits along with meals or after meals. Instead always eat fruits on an empty stomach or as a meal itself. If you are non-vegetarian, opt for sea-foods. Opt for meat or chicken only once a week. Strictly include vegetable salad in your daily diet. Opt for green tea or black tea instead of coffee. Breathe like a baby. This implies breathe through your abdomen. Most of the fatal diseases can be easily prevented if you force yourself to breathe through your abdomen. Inculcate the habit of exercising an hour a day. Regularly go for aerobics, walking, jogging, swimming or yoga. Exercise not only invigorates your spirit but also increases our life span. Eat less or eat moderately.